In a small dish, combine equal amounts of salt and sugar. Run the juice of a lime wedge along the outside rim of your glassware. Dip the rim into the salt/sugar at an angle, and rotate the glass until either half or all of the rim is covered. 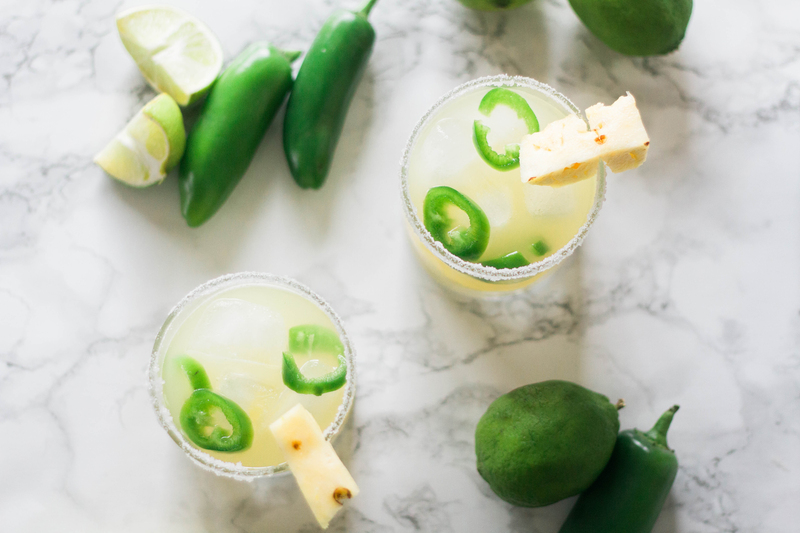 In a shaker, combine the tequila, P&M Jalapeño Margarita, a splash of lime juice, a splash of pineapple juice, and ice. Shake and strain into rimmed glass over fresh ice. 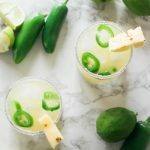 Garnish with slices of jalapeños, and a small pineapple wedge.